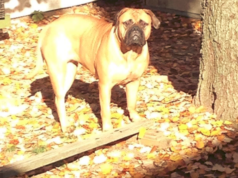 Bullmastiff is a courageous, brave and fearless dog. This dog breed demands extra care and love. Best healthy diet plan for Bullmastiff dog of all ages should have proper nutrients in it. 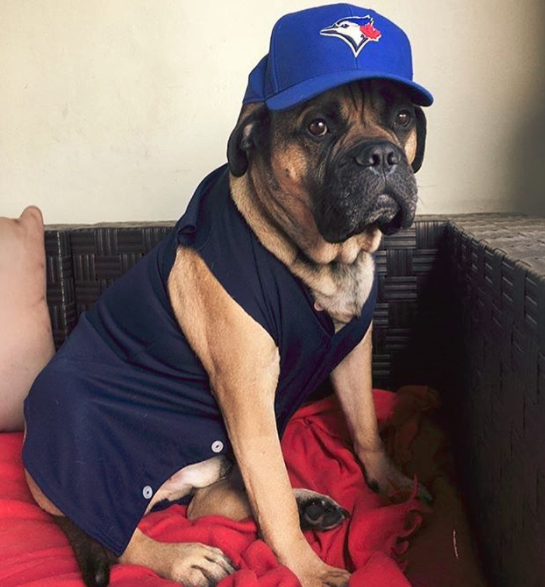 No matter, either the Bullmastiff is obese or smart, the owners should ensure feeding the dog with a balanced diet. Deficiency of nutrients in the diet can lead to several health issues. You do not need to worry about the diet plan of Bullmastiff dog. Here, you will get to know about the best healthy diet plan for Bullmastiff dog of all ages. If you are a puppy Bullmastiff dog then you should be quite vigilant about the diet plan of Bullmastiff dog (3-6 months). At such age, special precaution should be taken. Avoid feeding puppy on hard bones at such an earlier stage of their life. Likewise, always choose the chemical free diet for the Bullmastiff dog in order to prevent allergies and ensure good quality for health. Diet plan of mature Bullmastiff dog (6-12 months) includes oatmeal and chicken formula. Besides, you can also feed the dog on rice and chicken formula. High protein diet should be avoided for a puppy. You should feed your puppy in portions and provide warm water to the puppy. Feed the dog with natural food such as vegetable and fruits. You may cut them in slices or provide these as such to the dog. Consult a veterinarian for making the diet plan of your dog as per dog’s weight, height, age, and health status. Diet Plan of Adult Bullmastiff dogs (1-8 years) is of great significance. After 12months, the owner should consider feeding the dog on a grain free diet. Such a diet is preferred in Bullmastiff dog because they are prone to develop cancer. However, a raw diet is also suggestive for Adult Bullmastiff by some breeders. 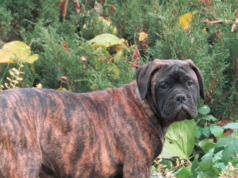 You can give Glyco-Flex to the Bullmastiff from the 1st year of their life. Add vitamin supplements in the diet. Best healthy diet plan for Bullmastiff dog of all ages should have meat as a necessary element. Add rice to the diet Plan of Bullmastiff Dogs (8 years and above). Provide two bowls to the dog. One for the meal and other for water. Avoid feeding the dog with the hot or cold meal as it may cause bloating. One of the important tip regarding the diet of Bullmastiff include that the Bullmastiff dog should not be given cooked and raw food simultaneously. Else, the Bullmastiff would experience indigestion. Feed the dog with a small amount of raw fruit such as mangoes, blueberries etc. Likewise, all raw vegetables in diet such as carrot. It is beneficial for the dog as it cleans both bowel and teeth. Burst the bubble of knowledge about your beloved Bullmastiff dog and keep yourself updated about Fruits that a Bullmastiff dog can eat. Stay tuned to know more! 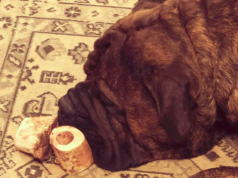 Next articleHow Much Does it Cost to Buy a Bullmastiff?